Yoga helps increase strength in very specific muscles and muscle groups. Back and abdominal muscles are essential components of the muscular network of the spine, helping the body maintain proper upright posture and movement. When these muscles are well conditioned, back pain can be greatly reduced or avoided. Yoga postures for diabetes switch back and forth between asanas (poses) that contract specific areas of the abdomen and asanas that relax those areas. This alternation between abdominal contractions and release stimulates the pancreas, increasing blood and oxygen supply. As a result, the pancreatic cells, buffeted by nutrients and fresh blood flow, undergo a rejuvenation that improves the organ’s ability to produce insulin. Yogic breathing practices also work in a similar way to stimulate healthy pancreatic function. In addition to postures that directly stimulate the pancreas and aid in insulin production, the exercise yoga provides reduces blood sugar levels and helps relieve one of the main symptoms of diabetes: hypoglycemia. 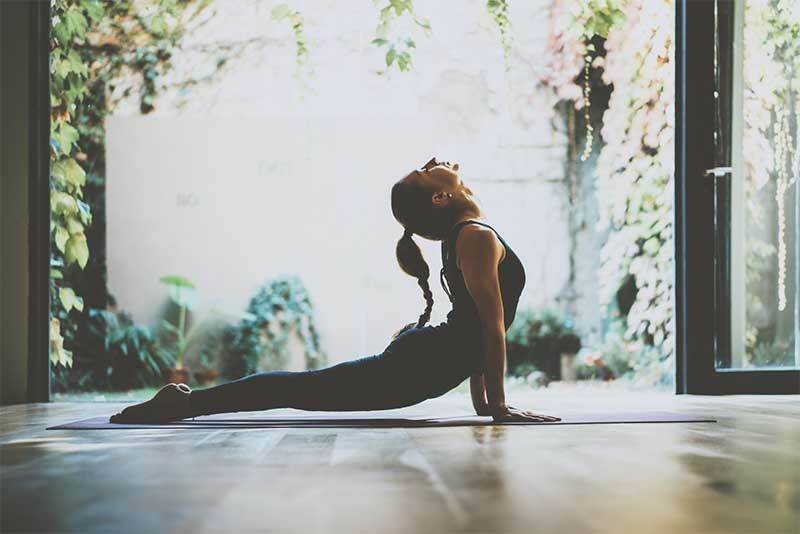 Yogic exercise has also been shown to reduce LDL (“bad”) cholesterol and triglyceride levels, both of which are often accompanying symptoms for diabetes. Aside from the physical side of it that helps you burn calories, the main reason yoga can help you lose weight actually comes from the mental side of it. We all know that stress leads to a poor diet. Yoga helps to greatly reduce stress, which not only helps you make better decisions but also lowers cortisol levels.